The Ketogenic Diet... is it right for you? Home cook and author of "The Keto Instant Pot Cookbook," Urvashi Pitre lost 80 pounds after gastric sleeve surgery and a strong commitment to keto. Simply put, the “Keto” diet reduces your intake of carbohydrates which encourages the body to burn more fat. However, just cutting carbs won’t bring you lasting success. You must, in every meal, strike the right balance of macro-nutrients: fat, protein and carbohydrates. Home cook and author of “The Keto Instant Pot Cookbook,” Urvashi Pitre lost 80 pounds after gastric sleeve surgery and a strong commitment to keto. She knew that even with a smaller stomach, if she kept her old eating habits, the weight would come right back. Urvashi continues to use several techniques to maintain her success: food journaling, a keto calculator and a lot of recipe experimenting with her Instant Pot. Want to learn more about how to use these great new ingredients? Get cooking keto, with help from Urvashi Pitre’s blog. 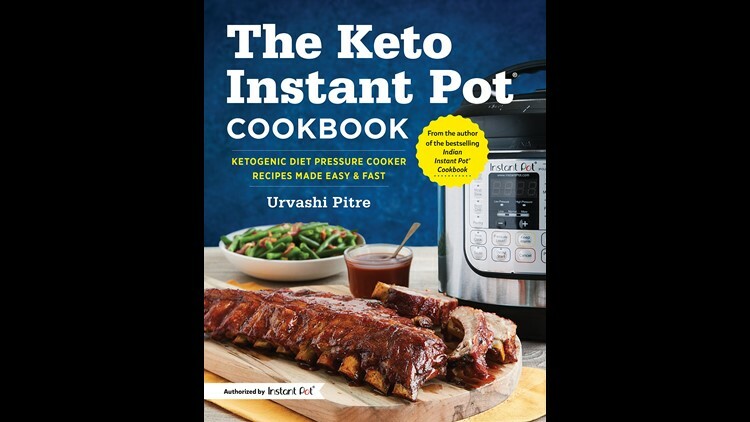 “The Keto Instant Pot Cookbook” is available now. THIS ARTICLE INVOLVES COMMERCIAL CONTENT. THE PRODUCTS AND SERVICES FEATURED APPEAR AS PAID ADVERTISING.